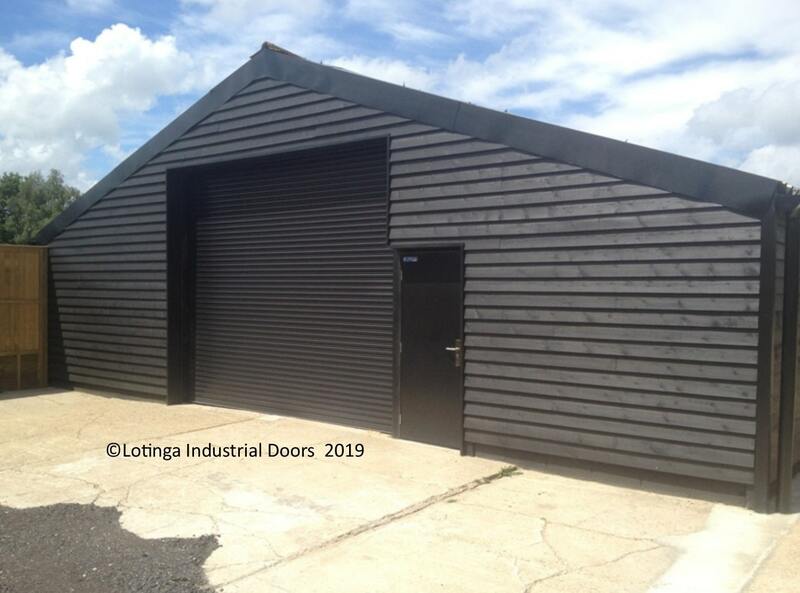 Are you looking for a local manufacturer of Roller Shutters in Kent, London, Sussex or Surrey? Do you find that you are restricted for overhead space? 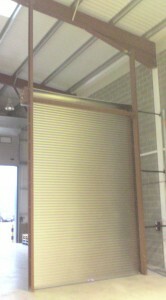 Steel Roller Shutters are the perfect solution. 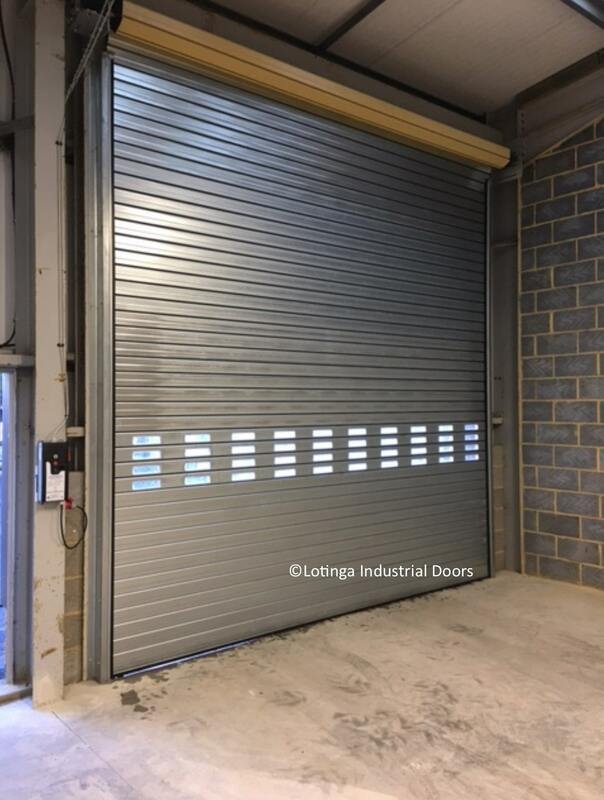 If you are interested in learning more about the Fast Action Roller Shutter above please visit our Eco-Strip page by clicking here. 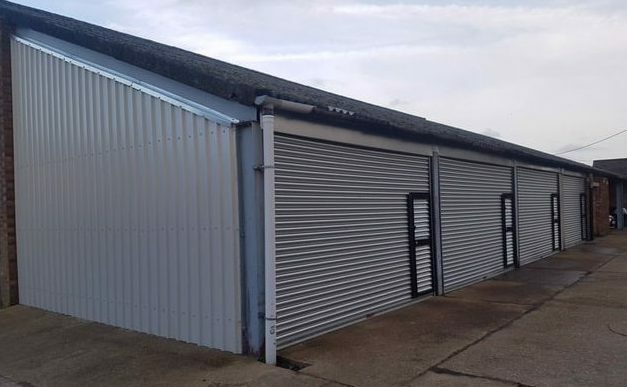 Purpose built to accommodate any opening; our manual and electric steel shutters are are an ideal form of security; and as a result of being manufacturers, we can build to your individual specification. Due to the superb level of security they provide, steel shutters are very popular on industrial premises and are also very cost effective. 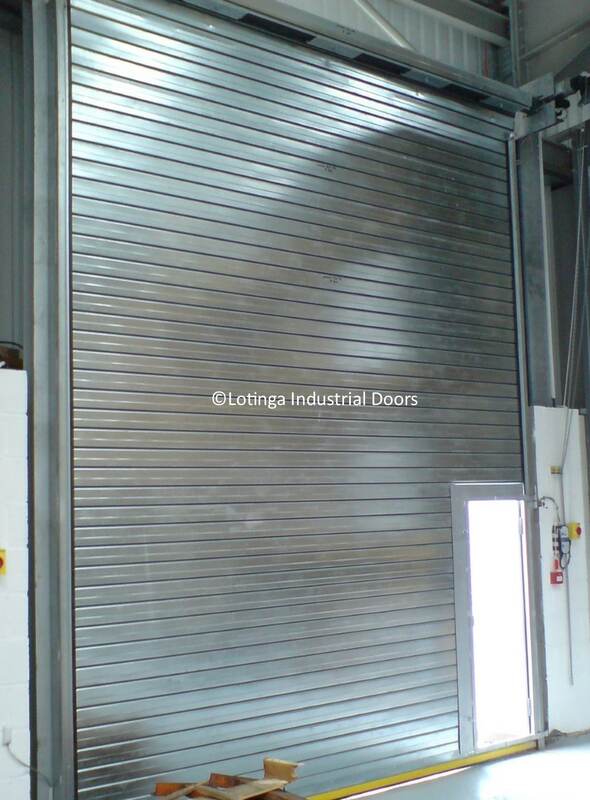 As long as they are maintained regularly, industrial roller doors should continue to provide you with many years safe, reliable service. Do you have a door that needs repairing? Lotinga wish to help their Customers keep on top of maintenance and ensure their doors are running safely and reliably. We offer a Service Agreement facility which entitles the Customer to discounts on Servicing and Repairs. Contact us for a quotation or click on our Service and Save Page to learn more. 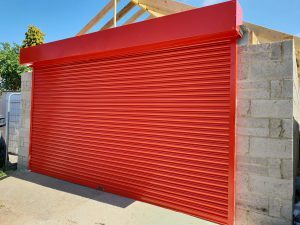 Whether you are looking for Steel Shutters or Aluminium Doors, roller shutter doors provide effective security for your home or premises. In addition they give you more overhead space than traditional up and over doors and cost less to install. 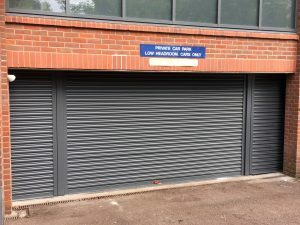 We offer a range of Activation Devices and Optional Extras with our Roller Shutters. For further information please refer to our Accessories page; alternatively you can call us for professional advice. 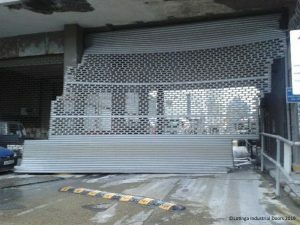 Consider galvanised industrial steel shutters when cost is a priority; the most cost effective option by and large. Made from heavy duty steel, they also offer the best form of protection. In-filled with polystyrene, insulated steel roller shutters offer an more attractive option; and as a result help to reduce your energy bills. Providing a more lightweight option, aluminium shutters are an idea option and in addition provide a more attractive finish. 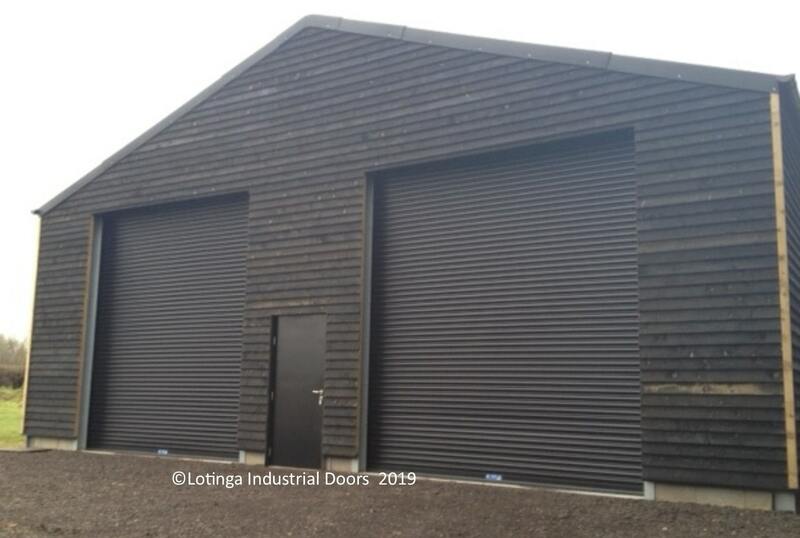 The heavy duty double walled aluminium construction is exceptionally strong for commercial or domestic premises where extra security is important. Fitted with an extruded aluminium bottom rail incorporating a sealing strip, the curtain is also fully end locked. Available as insulated or non-insulated. Consisting of aluminium lath sections and polycarbonate window in-fills (optional), a section of lath profile (left). If light is needed in your building, a perforated shutter or grille maybe more suitable for your purpose, they are also ideal for air flow. 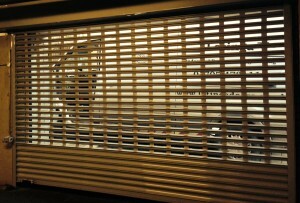 Brick Bond or Perforated Curtains give maximum sight through to your premises. Furthermore they are cheaper and more robust than tube and link grilles. 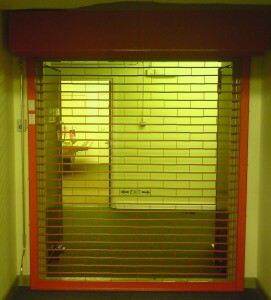 Ideal for Internal Use Tube Link Grilles are often popular within Shopping Centres. Made from aluminium or steel tubes and put together with steel rods, Chain Link Grilles make a lightweight, but strong curtain. 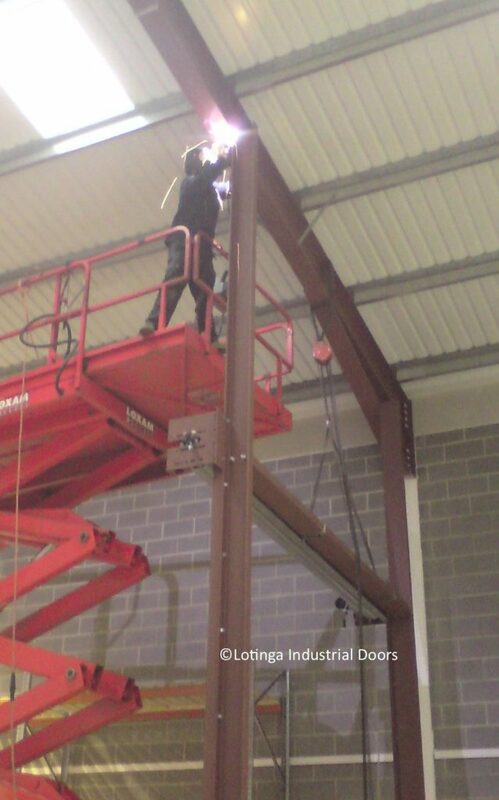 Do you need the size of your opening altered or require steel support or cladding? 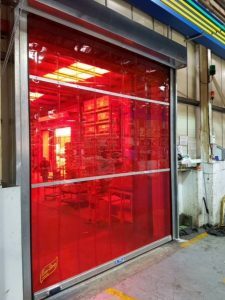 We offer a welding and fabrication service, which means, compared to other door suppliers, we are more versatile, and additionally more able to accommodate your individual needs. 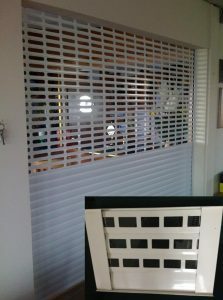 Constructed in various materials, security shutters can also be operated in different ways. If you do not have a power supply available, you can opt for either a manual push up door or a chain operated door instead. 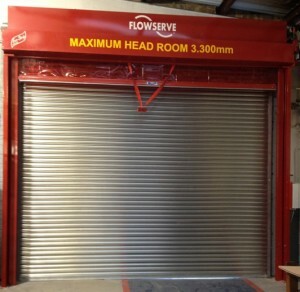 As manufacturers we are able to provide a quick turnaround of Roller Shutters. As is required, all our doors are CE marked. Copies of our Declarations of Performance can be found here. Of the utmost important is Safety; Classed as machines, these doors come under The Machinery Directive, consquently they must be maintained at least once a year. Click on our Safey and Legal Page for more information or contact us for advice instead. Door safety standards state that all industrial doors must have safety devices installed. Please refer to our Door Safety Systems page for further information on the safety devices required, or call us for professional advice. Don't delay having a fault rectified. Ignoring a small problem can cause further damage and a larger repair bill as a consequence. 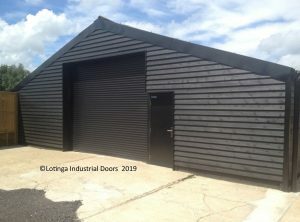 Check out this project featuring Roller Shutter Doors.